Lewiston, Maine (December 5, 2017) – No, you have not been transported back to the 9th century. There will be no longboats, no battleaxes, and no shield maidens present on February 3rd in Lewiston. Yet, the Androscoggin River is very likely to run red with blood that evening. 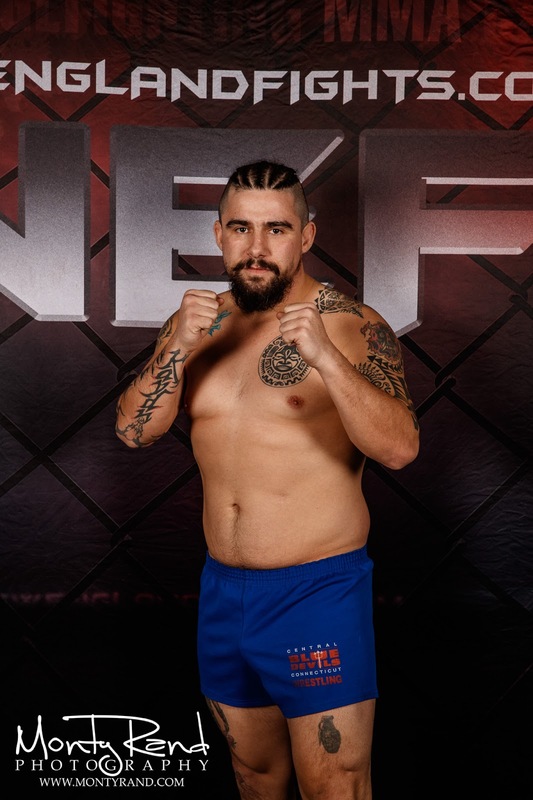 A Viking and a Berserker will wage war in Central Maine when New England Fights (NEF) returns to Lewiston with the fight promotion's next mixed-martial-arts event, "NEF 32: Super Saturday." Wrestling and jiu-jitsu, rather than swords and Thor's hammer, will be the weapons of choice as Jesse "The Viking" Erickson (8-7) faces Mike "The Mustache" Hansen (5-8) of Berserkers MMA in a featured professional welterweight bout. The fight will be Erickson's twentieth in the NEF cage, a record number for any one fighter in the promotion, but it will be a year since his last NEF appearance. He lost to Jon Lemke (7-8) in the semi-finals of the NEF Lightweight Title tournament last February at the Colisee. 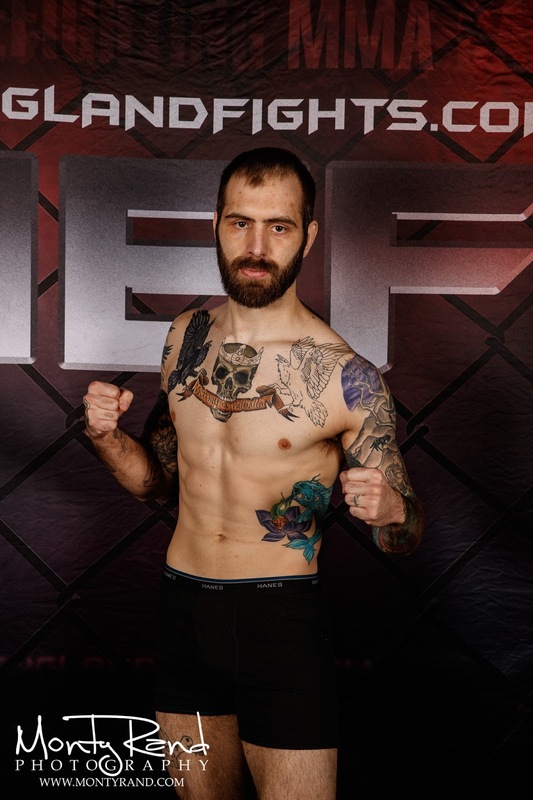 Erickson, an instructor with Central Maine Brazilian Jiu-Jitsu (CMBJJ), and a homegrown talent of Lewiston-Auburn, will be looking for a triumphant return after a recent loss in Canada. Like his opponent, Mike Hansen is also in search of a much-needed win. Hansen lost all four of his fights in 2017, including back-to-back defeats this fall in Western Massachusetts. His last win came at "NEF 25" in 2016 when Hansen, a former state champion wrestler for Mountain Valley High School in Rumford, Maine, scored an impressive first-round submission of Matt Andrikut (2-1), defending the honor of Maine wrestling against the New York mat native. “I’m super excited for this fight," exclaimed Hansen of the upcoming meeting with Erickson. "It’s a great matchup for Maine MMA. Our schools are close to each other and we have competed against each other many times. It’s finally time for the coaches to get down and boogie. My pick for this fight is the fans for sure. Fans will not be upset." Hansen challenged Erickson to add a stipulation to the bout when they announced the fight publicly at "NEF 31" in Portland last month. Hansen would like the loser to receive a tattoo with the design chosen by the winner. NEF's next mixed-martial-arts event, "NEF 32: Super Saturday," will see the company make its return to the Androscoggin Bank Colisee in Lewiston, Maine. The event is scheduled to take place on Saturday, February 3, 2018. Tickets are on-sale now online at www.TheColisee.com.